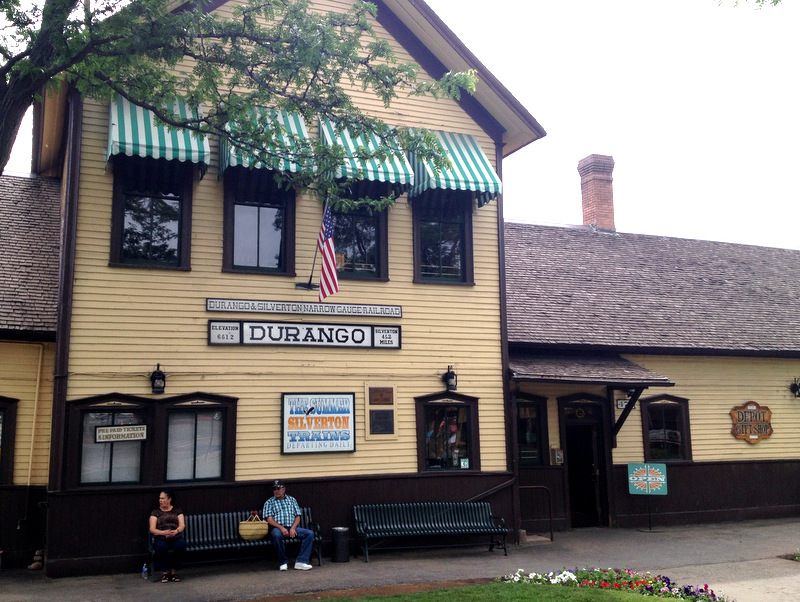 Despite what the name of this post suggests, we’re not actually in Durango. 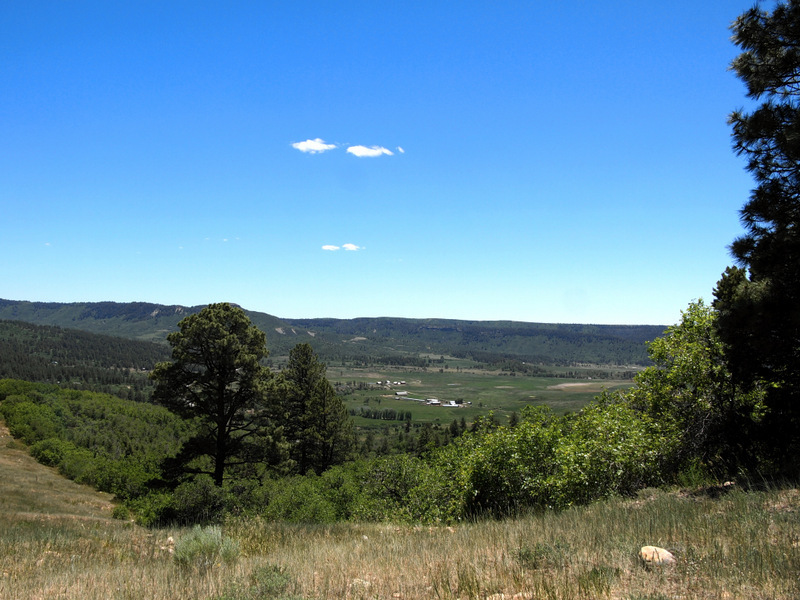 If you want to get all exact and stuff, we’re in between the small town of Mancos, and the even smaller town of Hesperus, about 17 miles west of Durango. When we stayed here last year we started calling it our “Durango Boondocking” spot, and the name stuck. We’re not in the exact same spot as last year, but we are on the same road. Last year we had a meadow all to ourselves, this year we have a view of our very own. There’s probably a dozen nice boondocking spots on this road, some that are easier to access than others. Last year we stayed for two weeks and saw only a handful of other RVs. This year when we arrived on a Saturday evening we were greeted by dozens and dozens of RVs parked all up and down the road. They were everywhere. Packed in tight next to each other, squished up against trees, and wedged into the tiniest possible spots. I would estimate that at least 30 RVs had managed to cram themselves into this wooded area. Exactly what we don’t want to see while boondocking. Turns out this was a 3D Archery Shoot. 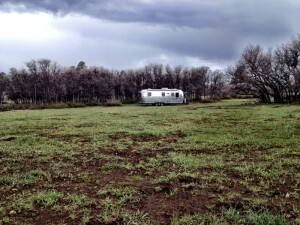 Oddly enough, we came across another 3D shoot while searching for a boondocking spot near Red River, NM. I am not at all up on the goings on of archery clubs, but apparently this 3D shoot is an event that takes place on public lands involving large numbers of people and RVs. At the time we were kind of annoyed that they had taken over the entire area. We drove up the road and couldn’t find anywhere to park, turned around in a very questionable spot, and were on our way to stay at the nearby national forest campground, when we spotted an open piece of land near the beginning of the road. It wasn’t ideal because of its proximity to the dusty dirt road, but it would do for the night. The next day was Sunday and we spent all day in Telluride. When we returned in the late evening the shooting group was gone and we moved over to our spot. In retrospect, it’s hard to be annoyed because they have just as much right to use this public land as we do. They were also very respectful of the area, and despite the large number of RVs and people, we have not seen any trash or debris that they left behind. I guess from now on we just need to be aware of that this group exists and has a tendency to take over large areas of the national forest on the weekends. After we got over that initial excitement, we had a very quiet week. We’ve only seen two other RVs on the road, and both are way far from us. (By the way, if you’re interested in this area and want to know our exact location, head on over to the Where page to see our GPS coords.) By some strange coincidence we arrived here almost exactly a month later than our stay last year, and the difference in the amount of greenery is astounding. Last year the leaves were just coming out on the trees, and when we drove farther up the road they were completely bare. 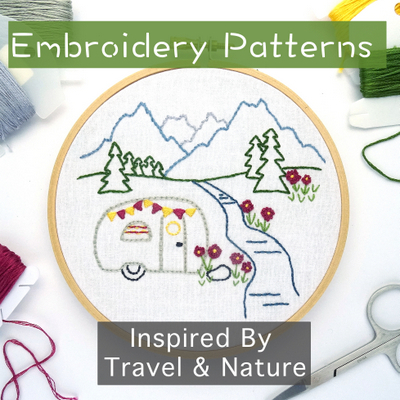 This year it’s full blown summer with green leaves, tall grass, and even some wildflowers. We took the same drive up the road and it wasn’t until I looked at the photos from last year that I realized the massive difference. The road gets really rough only about a mile past our site, which is too bad because we spotted a few nice potential sites up there, including one with a view of Madden Peak. 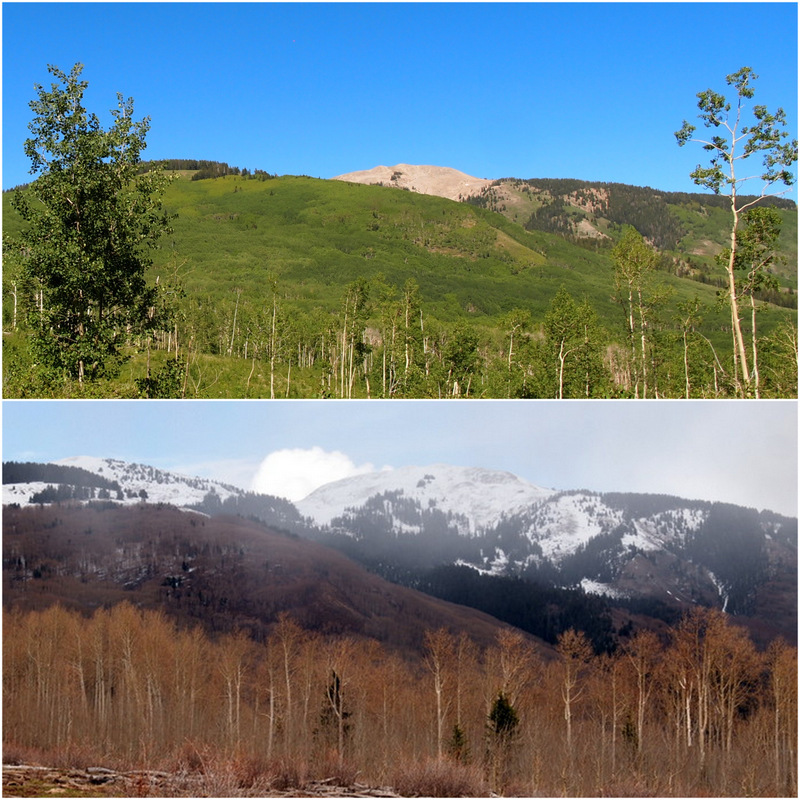 Another comparison photo shows that things green up quickly around here. Farther up the road we found a really pretty field of wildflowers. 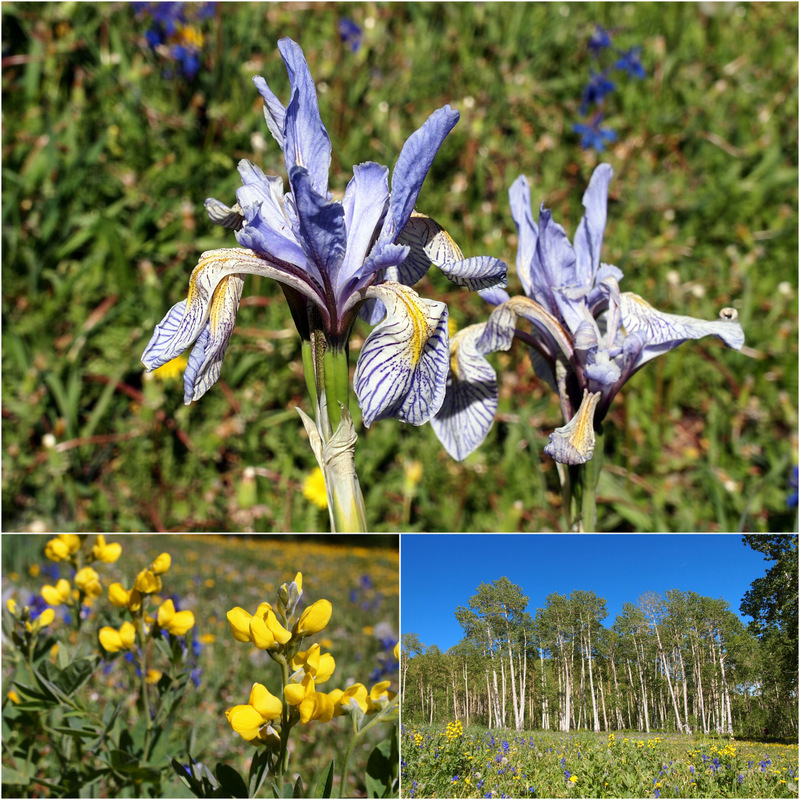 I was excited to spot Wild Iris and Yellow Baptisia. 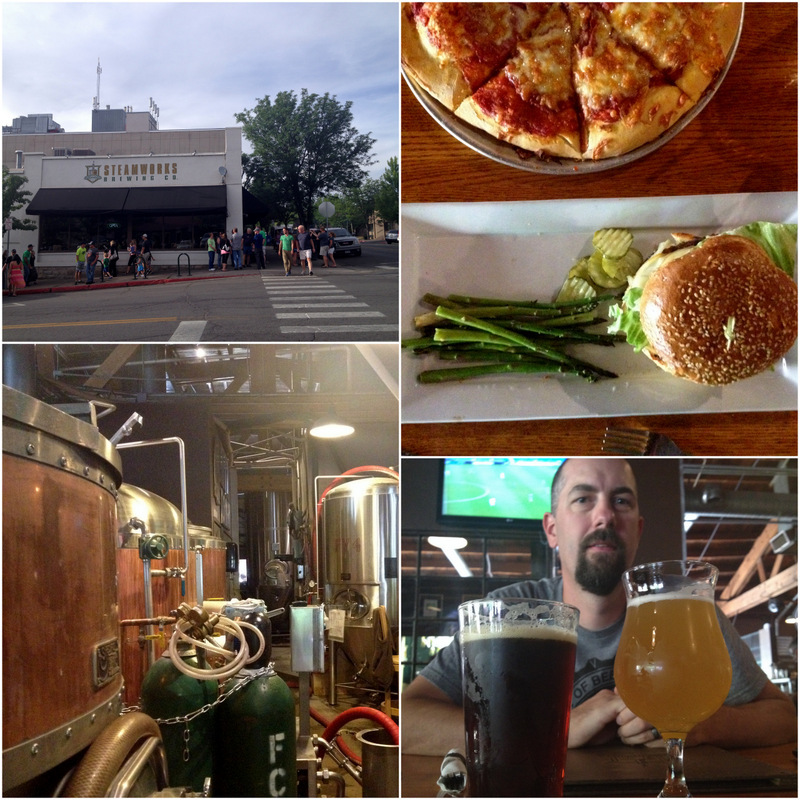 This past weekend we made a trip into town to hit up the farmer’s market and do some other errands. It’s still a little early for the majority of veggies around here, but the market was hopping with vendors selling all sorts of greens, plant starts, crafts, and about four different stalls selling local beef. I remember the abundance of beef from the farmer’s markets in CO last summer. This is definitely cattle country. We ended up with a great big bag of spinach, a jar of local honey, and a loaf of fresh bread. 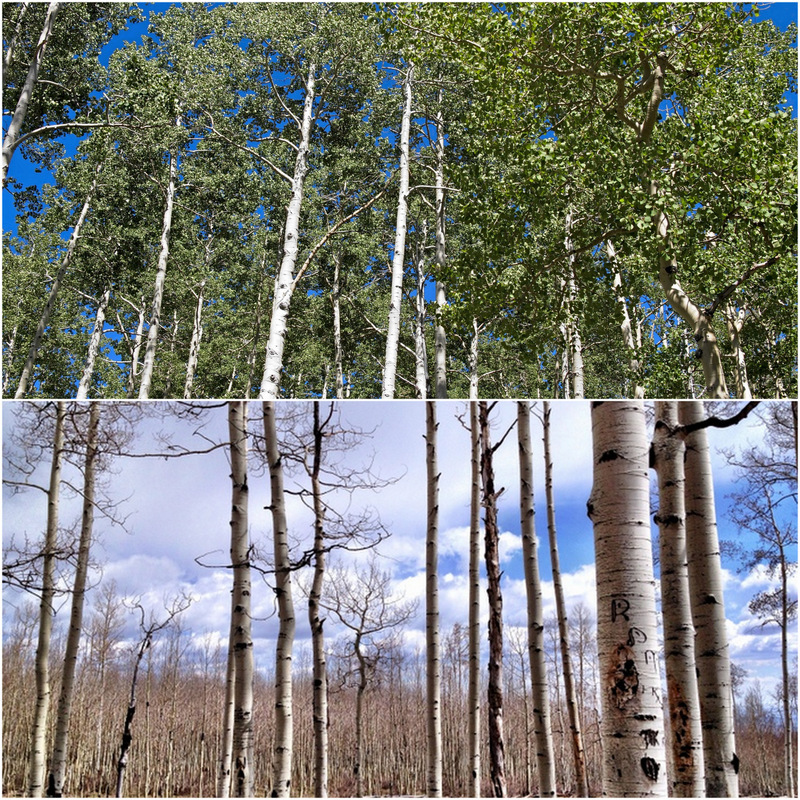 While we were in town we decided to take a hike on the Colorado Trail. 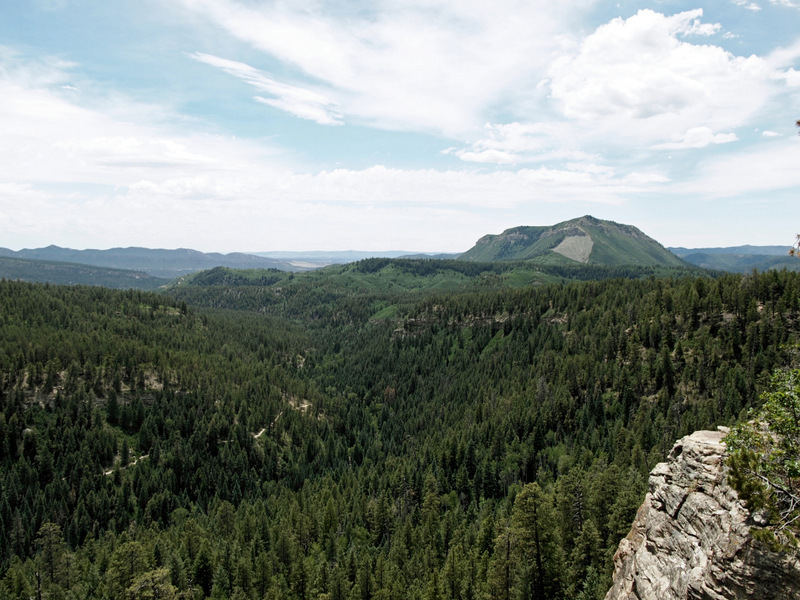 This roughly 500 mile long trial travels from Durango to Denver (or the other way around.) 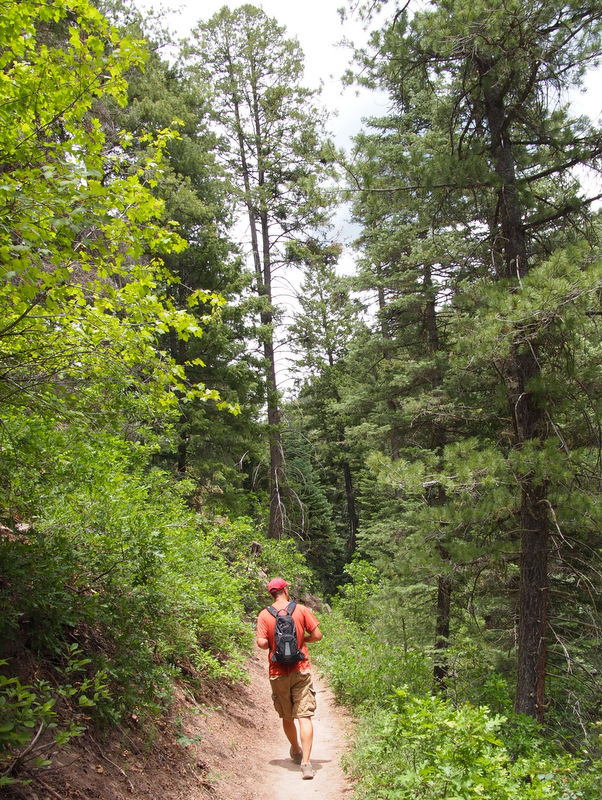 You can hop on the trail near the entrance to the Junction Creek Campground just a few miles from the center of town. The trail was very busy on this gorgeous Saturday morning. Not only lots of hikers, but lots and lots of mountain bikers. Most of the trail is fairly narrow, and even though everyone was very mindful of each other, we felt like we were constantly stepping aside for bikers as they whizzed down the the hill. About 3 miles into the trail we stopped to take in the view at Gudy’s Rest, a nice bench and overlook named after Gudy Gaskill who helped make the Colorado Trial a reality. We also spent a little time walking around downtown Durango and stumbled across a free museum near the old train depot. The Durango & Silverton train is a big deal around here. 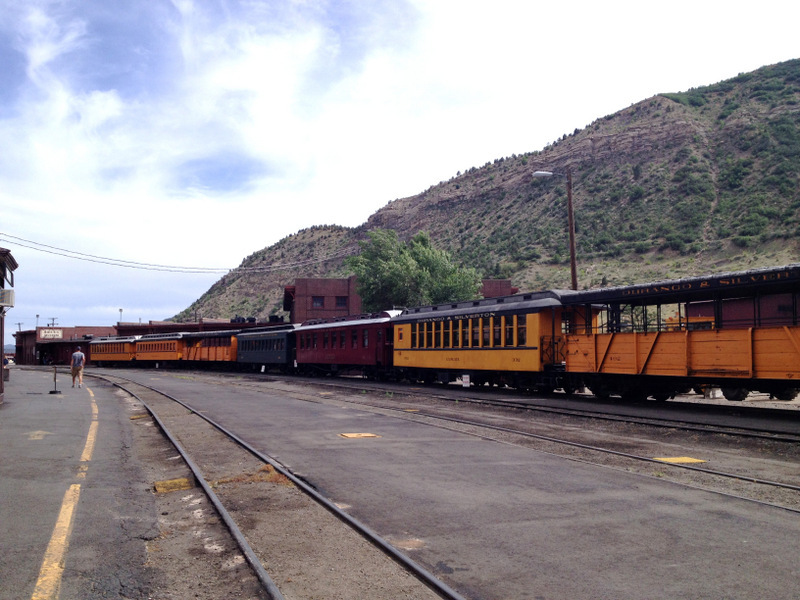 This historic train is a huge draw for tourists who come from all over to ride the narrow gage railroad from Durango to Silverton. We already looked into it last year and knew we didn’t want to spend at a bare minimum $85/each for the ride. I am sure it’s a wonderful experience, but we try very hard to strike the balance between doing all the fun (and costly) things that we come across, and remembering that we are not on vacation. That doesn’t mean we skip over everything that costs money, but it does mean that we very carefully weigh the pros and cons of what we do spend money on. For us, the train just didn’t make the cut. We did enjoy the free museum though. 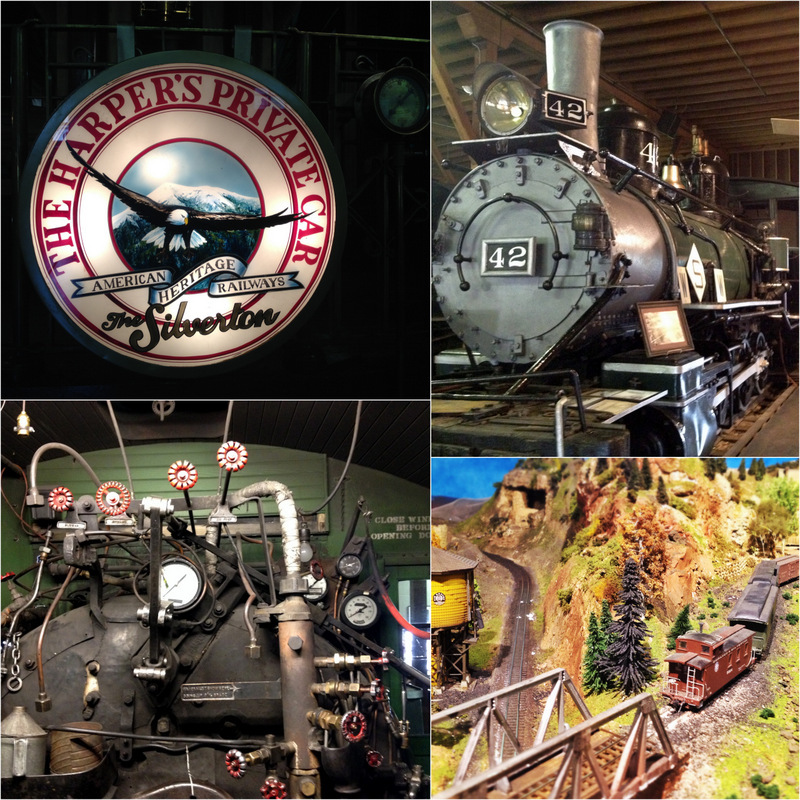 We saw some old steam engines, a private train car, tons of tools and implements for railroad maintenance, lots of railroad memorabilia, and a really cool miniature train set-up. Our day in town ended with a repeat visit to Steamworks Brewing Co. We enjoyed this place immensely last year and were eager for a return visit. This is a busy, family friendly restaurant, and as a result it is nearly impossible to just stroll into and get a seat on a weekend night. Last year we waited nearly an hour, so this year we smartened up and showed up early which resulted in only a 15 minute wait. Once inside and seated we tried two different beers, Lizard Head Red, and the Saison. In the last year my beer palate has really expanded and I’ve started to try a lot more beers than I ever would have before. Saison is one of my current favorites. It’s a summer wheat ale that usually has a touch of citrus flavor, and this one had a bit of ginger that added a nice zing. Yum! Tim declared his pizza just okay, but my burger was so good that I felt bad for him and his so-so pizza. I kept offering to give him half, but he refused and in the end I had no choice but to eat it all. Must be the local beef that they use, because this was one seriously good burger. 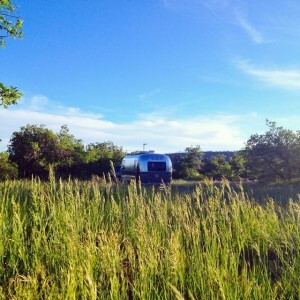 We’ll be here in our not quite Durango boondocking spot until the end of the week. Not too much planned except for maybe a nearby hike, and hopefully a visit from some fellow Airstreamers. So far our second Colorado summer is off to a good start! Hee hee. Thanks for sharing your coordinates :-D. Mighty generous of ya. Looks like a beautiful spot! 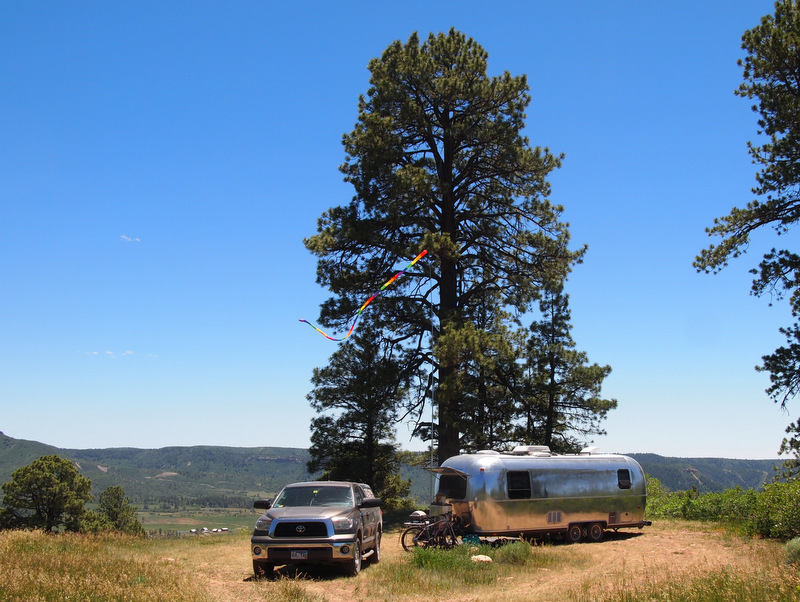 We’ve stayed in both Mancos and Durango, but not in-between. (There’s a really sweet natural foods store/coffee shop in Mancos called Zuma, if you need supplies.) 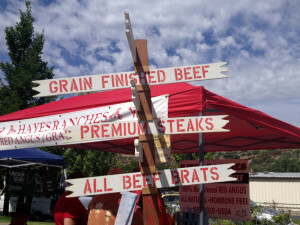 We always search for local grass fed beef — your hamburger looks so yummy, and you even got asparagus with it! The burger was amazing! We don’t eat beef at home, so when we go out I’m often on the lookout for a tasty burger made with local beef- something that’s pretty easy to find here in CO.
Durango! Our favorite place in the world! Enjoy your summer in Colorado. Durango really is a cool little town. The prefect place to kick off our Colorado summer tour! I bet the town has grown a bit since them. Definitely time for a return visit! Great Blog. May I ask which road your camp site was on? 316 ? I’m trying to determine which road north of Hwy 160 between Hesperus and Cortez will be easiest for my 2wd and 24′ lifted Toy-hauler. Yup, the road number is 316. You should have no problem getting your rig there. Enjoy!